Surprise!… A Status Update on Monday. Why you may ask? Well I was sick last week and had promised a good Status Update, so I hope this makes up for it. But really, this is a very special week and all going to plan, this Wednesday you will be getting your hands on the following huge game enhancements… Wait was that a plural? Yes that is right, there are two new big enhancements this week! Some of you guessed it after the first hint had gone out, I really must work on making the hints harder! But yes, I feel very privileged to be presenting to you all the new and improved ‘Extended Render Range’, or ERR for short! 320m Is now the maximum distance you will be able to see in a horizontal plane. We are aware that a portion of our players have computers that run on low graphics settings and to insure their game play is not hampered, we have tied the ERR to the scene complexity setting, no computer upgrades needed! If you have a computer that runs on ‘low scene complexity’, you will maintain the current 220m maximum horizontal vision. If you have a computer that runs on ‘medium scene complexity’ you will get the improved 270m maximum horizontal vision. If you have a computer that runs on ‘high or very high scene complexity’ you will get the full 320m horizontal vision. Now when I got told about the extended render range being worked on, apparently my face was priceless and I looked like a kid that had just been handed the biggest ice cream ever. 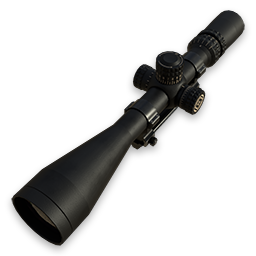 After I had calmed down a little bit I said “OO OOO OOO We are going to need better optics and scopes” Because as it is now, the spotting scope only just spots ibex at range and the rifle scopes are pushing the limits at 220m. So here are some new toys that I for one can’t wait to use. 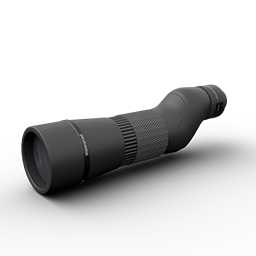 This addition is going to be a must, boasting an impressive 30x65mm zoom, spotting animals at these new extreme ranges will be a breeze! As with any new feature we will be monitoring community feedback, but I am hoping this has got you all just as excited as I am! It is also worth mentioning as another little teaser that deployable targets are in the making, and soon everyone will be able to see how the guns perform over these new ranges. Speaking of deployables…. The second feature to be released on Wednesday is ‘Multiplayer Deployables’, this now means that you can take your favorite deployables, such as treestands or blinds with you and deploy them in anyone’s multiplayer games. If you get disconnected, end the hunt, or leave the session under any circumstances. Any deployables you have placed in that session get returned to your inventory and can be used again in your next hunt. This also comes with a little warning however, if you are in a users treestand that is not the host and they get disconnected, you get dropped to the ground and might have to make some evasive maneuvers to still shoot that animal that is wandering in. We are looking at a way to improve this, but I am sure you will agree, if you were disconnected, you would want to make sure your treestand was safe and sound back in your inventory! We will be watching this feature for community feedback closely and interested to see how everyone enjoys it. Granti for this very nice mule doe! Congrats. In the coming days you might notice some extra notifications in the launcher and website regarding GDPR. Please take the time to read through the information provided, because some policies and agreements have changed. Due to myself being sick last week, we have had a little lag in the competition. 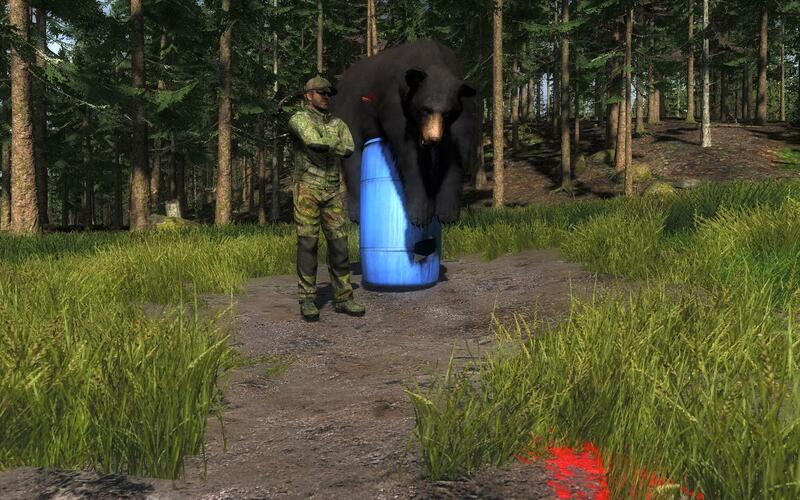 But it has started back up already with RudiRR taking out Trophy of the week with this nice Black Bear and a funny trophy shot to boot! It has a very nice score of 23.583. 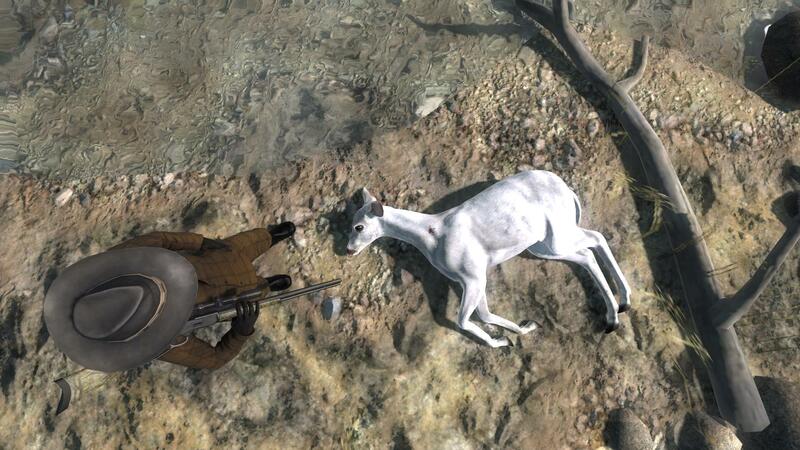 Rare of the Week as per usual will be selected this coming Wednesday, so if you have shot a rare animal, it is not too late Enter Here! This week’s free rotation, which changes on Wednesday, lets our guest hunters test their skills against Coyote and Bison. Good luck and have fun!